Press Release:– Tourism has enormous potential to promote Caribbean regional integration. So said Jamaica’s Tourism Minister, Edmund Bartlett who, at the time, was addressing the 54th annual general meeting of the St. Lucia Hotel & Tourism Association, which was held Friday (June 20) at Harbour Club St. Lucia. He was the featured guest speaker at the AGM. Describing the tourism sector in the Caribbean as “cutting across many spheres, sectors and boundaries,” Bartlett characterized the sector as “a shared model of development for the region,” and one that shares a special place among Caribbean states. “The sector thus provides considerable scope for collaboration and cooperation among many stakeholders at the regional level in a wide range of areas including; investment and product development, human resource development, tourism awareness, research and statistics, access and transportation, regional facilitation, environmental and cultural sustainability, marketing, communications and addressing crime that involves visitors,” said Jamaica’s tourism minister. 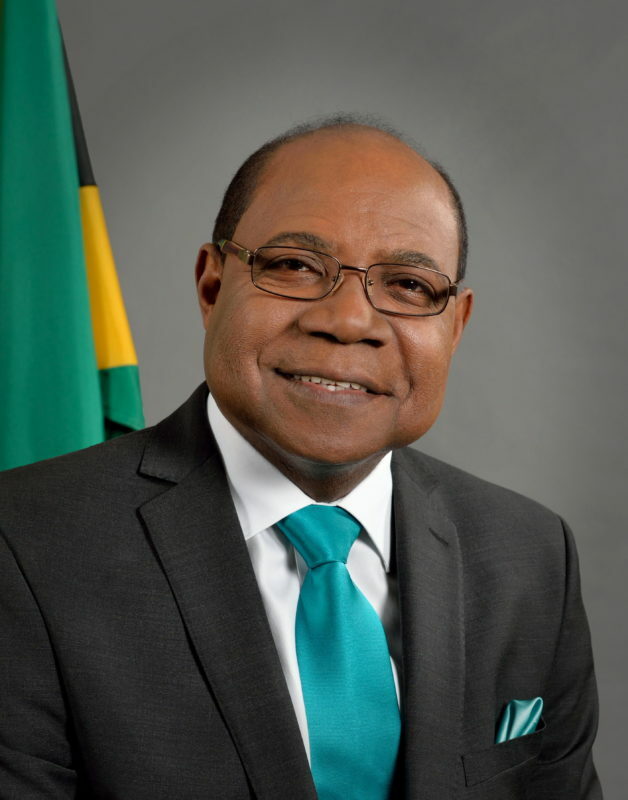 Bartlett further noted that at the 39th CARICOM Heads of Government meeting held in Jamaica July 2, the regional leaders in attendance reaffirmed their commitment to the effective implementation of the CSME, which is aimed at facilitating the expansion of investment and trade in goods and services, and the free movement of people across the region. “Tourism is also a catalyst for promoting the successful implementation of the Caribbean Single Market and Economy (CSME) framework which has been the leading initiative developed by CARICOM to promote regional integration,” he added. Moreover, tourism could become a catalyst for increased intra-regional travel and a value-added component to diversify the region’s tourism product and spread the benefits of tourism across the region, said Bartlett. “Intra-regional tourism provides vast economic exchange and opportunities for the regional economy that would have otherwise gone to countries such as the USA, Canada and England. This form of inward-looking tourism is also a very practical approach to reversing the over-dependence of the region’s tourism sector on international markets,” Bartlett added. Citing the recent signing of the Multi-lateral Air Services Agreement (MASA) by CARICOM heads as one of the region’s most noted successes in the promotion of intra-regional tourism, Bartlett said it could help to make travelling within and beyond the Caribbean much easier. The MASA is aimed at creating a liberalized environment that is consistent with emerging WTO aviation policies. “It is anticipated that the full implementation of MASA will improve connectivity and facilitate increased trade in goods and services, including tourism. MASA has been expanded to include the conditions for a single security check for direct transit passengers on multi-stop intra-Community flights,” said Bartlett. In addition, he said the Caribbean Tourism Organization’s (CTO) aviation task force is currently working with intra-Caribbean carriers to ensure hassle-free movement and to boost connectivity around the region. “These include legal and regulatory concerns, safety and security issues, taxation and the high cost of airline tickets and the passenger’s experience, which involves persons requiring a visa to travel,” said Bartlett. “Such a scheme could ensure a level of quality assurance for visitors and stimulate product and service quality improvement through the objective benchmarking of visitor facilities and service standards,” said Bartlett. Bartlett also envisions the “economic convergence between complimentary economies” in the Caribbean through tourism as another way of deepening regional economic integration, citing this as an emergent perspective in the region. Bartlett acknowledged, however, that there are a number of obstacles that must be overcome in the quest to establish a sustainable regional tourism sector. The Caribbean’s vulnerability to climate change constitute another of the threats” to the region’s tourism sector, said Bartlett, stressing that these issues necessitate sophisticated resilience mechanisms and crisis management systems. “Indeed, it was this spirit of regional cooperation that led to the recent conceptualization of the Caribbean Disaster Resilience Centre, the first of its kind in the region, which will be established at the University of the West Indies Mona,” he added. Bartlett concluded by urging the Caribbean states to work together in order to take full advantage of tourism’s vast untapped potential to promote the sustainable development of the region. “We must thus find common ground on a number of issues and strengthen our cooperation in a number of shared areas to ensure that tourism development truly brings us together,” he added. Several government officials attended the SLHTA AGM, including Prime Minister Allen Chastanet, Minister for Tourism, Dominic Fedee, Minister for Agriculture, Ezechiel Joseph, Minister for Infrastructure, Stephenson King, Minister for Home Affairs, Hermangild Francis, and Minister for Health and Wellness Mary Isaac. Also present were Mayor of Castries, Peterson Francis, Parliamentary Representative for Castries South, Ernest Hilaire, several private sector executives and members of the diplomatic corps. Our varying Cultures and intertwining these cultures will bring the Caribbean closer together. CARICOM and the full integration will bring the Caribbean closer together. Agriculture, producing and rearing our own food and live stock bring the Caribbean closer together. TOURISM the new slave trade can’t bring the Caribbean closer together – you re-introducing slavery to Caribbean people – just want to serve foreigners. The Caribbean leaders are playing a cat and mouse game with the integration movement, just like the West Indies Federation!